My Dewalt Hole Saw kit is getting old. I probably need to replace 4-5 of the bits, so it might be better to buy a new kit. What hole saw make would you recommend? I like the look of the Diablo, in particular because HomeDepot sells the individual bits so it’ll be easier to replace worn out bits. I also really like Diablo’s Forstner bits. Diablo or Lennox would be my first look today. 20 years ago I would have just been lennox. I guess Irwin still makes some too so that’s a possibility if they are cheaper than others. Are you interested in the newer carbide models. Milwaukee I think makes a set as do some others. Don’t know if imperial blades makes hole saws but I might look them up too. They buy which ever is cheaper or has the kit set you need. I like Milwaukee best these days, but have had great experiences with Ridgid and Diablo too. Brick & Mortar retail store availability can change, and so that shouldn’t be the strongest consideration factor. 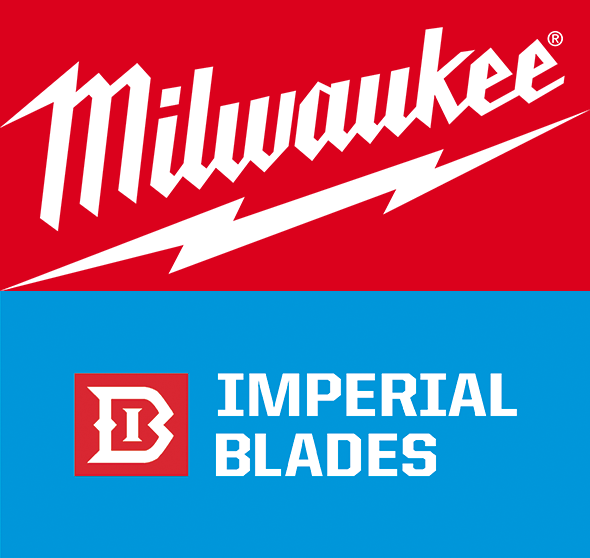 As a reminder, Milwaukee Tool has acquired Imperial Blades. Milwaukee Tool has acquired Imperial Blades, a USA-based brand that makes oscillating multi-tool accessories. Looking back over past inventories for our businesses it seems we migrated around quite a bit. Many years ago - our hole saws were from Armstrong-Blum, Sioux and Starrett. Many of the Starretts we bought for the plumbing business were of the grit edged variety for use on tile. Later on we seemed to have bought some Blu-Mol and F.B. Morse. Fast forward to about 10 years ago - and we seemed to be buying Bosch - for metric sizes and sheet metal hole saws plus Lenox and Milwaukee carbide-tipped hole saws. We also tried some from Profit - a Dutch company - that I think were decent. Just before I sold the plumbing business - we bought a big batch of Morse carbide-tipped and grit-edged hole saws - and some Greenlee ones that were designed for stainless steel. I bought the Milwaukee Hole Dozer set on sale at HD several years ago and have used most of the bits on various wood projects. I can say that they hold sharpness well on wood. Someone else will have to chime in on other materials. I was attracted to them because of the name, previous usage, and as someone else said, I can replace individual drills that dull or break. That said, I still have a 40 year old set of Craftsman hole bits that are still useful, at least on wonderboard and thin plywood. I keep them in the basement for model railroad usage so I’m not constantly running up to get the Hole dozers.